In our district, the goals for student development are to create model students through respect, honesty, and integrity. Cyberbullying is a growing problem in today's social media society. Our district has decided to take a proactive approach through student and parent education. We strive to create a safe environment where people from different cultural, economical, and religious backgrounds can meet and share there experiences. To accomplish this we provide various activities and tools to teach our community the importance of Internet safety and responsible use of technology. Our district encourages the community to complete these activities with their child to educate and promote safe technology use to end cyberbullying. These activities provide parents the opportunity to stay connected with their child and understand the seriousness of cyberbullying and the use of technology. Parents can help stop cyberbullying by staying involved and encouraging their child to obey the rules of preventing harmful messages or inappropriate texts (Snakenborg, Van Acker, & Gable, 2011). The best way for our community to help the issue of cyberbullying is to have conversations with your child on a regular basis and know when and how to react. Before beginning the lessons and activities of cyberbullying, we ask that you visit our Creating a Safe Environment Blog and share your thoughts and ideas on why cyberbullying is becoming such a problem. Please find the "Preconceived Notions" link at the top of blog, next to the home link. Here you will find blog posts from other parents and community members discussing what they know about cyberbullying and what they feel we can do as a community to prevent it. We ask that you complete the section in preconceived notions before continuing on with the activities because at the end of our lesson, we will be asking our community to support their responses in a reflections blog. We find it most beneficial for parents and the community to understand where our district stands when it comes to preventing cyberbullying, and the consequences that will follow if necessary. Activity One- What is Cyberbullying? Remember: We ask that you complete the reflection section of the blog after activity 3 in regards to before the lessons and after the lessons. This will ensure that the information provided was useful and helpful to you as parents and the community. 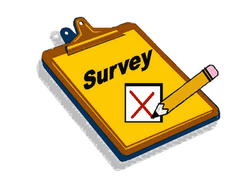 After you have completed the activities on cyberbullying, please complete district survey below. By completing this survey, it will help us gather information needed to come up with solutions to ending cyberbullying.